Dr. Brooke was born, raised, and educated in South Africa. His professionally formative years were spent in the upheavals there in the 1980s. He is a graduate of the Universities of Cape Town and Witwatersrand (Johannesburg) and received his Ph.D.C.Psychol. from Rhodes University, Grahamstown. When he left South Africa at the end of 1993, he was Director of training in clinical psychology and coordinator of the Ph.D. in Psychotherapy at Rodhes University. He also coordinated the South African Society for Clinical Psychology's ad hoc committee to establish criteria for training to a level of basic competence. His general area of interest is the development of a phenomenological depth psychology and psychotherapy. Most influential authors: Heidegger, Merleau-Ponty, Boss, Jung, Freud, Winnicott, Romanyshyn, and Casement. He has studied the use of transference analysis in phenomenological research, the phenomenological structure of various therapeutic issues, and his continuing phenomenological reworking of analytic psychology, in both its cultural-historical and clinical dimensions. 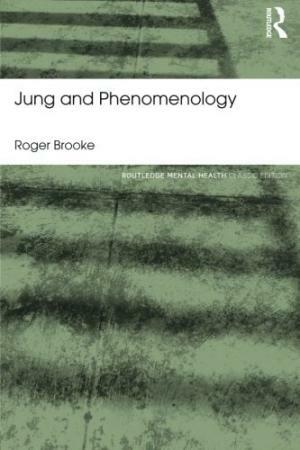 His dissertation was modified and published as Jung and Phenomenology (Routledge, 1991). Dr. Brooke joined the Duquesne faculty in 1994. From 1994-2007 he was Director of Training in Clinical Psychology, and was centrally involved in the development of the doctoral program and its accreditation with the American Psychological Association. Since 2008 he has been Director of the Military Psychological Services. He is a Board Certified Clinical Psychologist and has been an examiner for the American Board of Professional Psychology. He was on the Board of Directors of the American Academy of Clinical Psychology from 2005-2012, and is on the Board of Directors of Soldier's Heart. He teaches graduate and undergraduate courses, supervises doctoral students, has a private practice, and is a consultant Clinical Psychologist at LifeCare Hospital, Pittsburgh.